The same accidents happen repeatedly at school everyday, but most of them are preventable. In order to avoid accidents at school, it is important to acknowledge the detail of what type of accidents are happening. 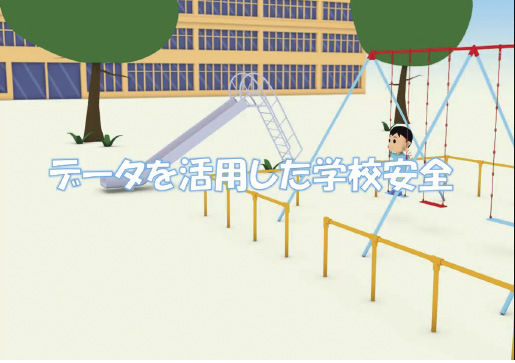 By using animation the movie “School Safety Utilizing Data” explains clearly the reason why accident data is so important and how the collected data leads to prevention. (Figure 1) t is also used as a material of safety learning for children, as well as it can enhance motivation to gather accident data at school. Moreover, at the school that is planning to start collecting data, it can help teachers to understand the meaning of data acquisition. Concerning the accident prevention, information such as “gender”, “time the accident happened” and “types of injury” is not sufficient enough. Data for prevention requires detailed information, for example what kind of environment, what action did it cause, what kind of injury occurred, how high was the fall, or what was the ground like at the fall site. This surveillance system is capable of collecting, aggregating, analyzing and searching data of accidents that happened at schools. It is useful for activity that makes school safer. (Figure 2) In addition, the system has a function called “Body Map Information System” that records injury information. 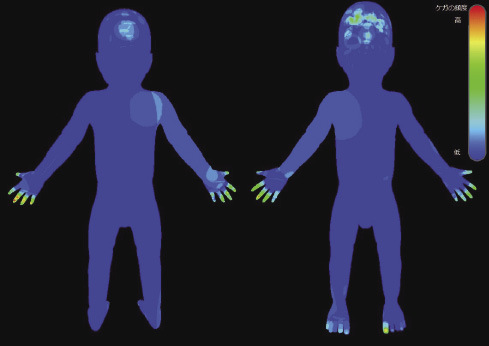 It paints the 3D child model to show the type of injury and which body part was injured. Thus, It enables you to research which part of body gets injured the most. 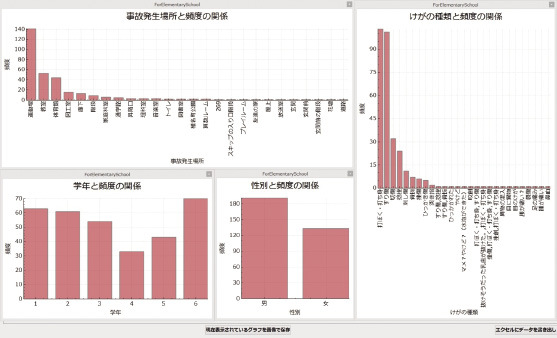 (Figure 3) he soft surveillance is easy to input data that leads to prevention, which helps users, like a school nurse for example, input accident data. According to school administration, accidents costing over 5,000 yen in doctor’s fees occur over a million times annually. However, the activities for prevention based on injury data are slow to be introduced at school. Besides, schools saved accident data on papers or they collected information of the accident that cannot be used for prevention, thereby these accident data were not used for prevention. The National Institute of Advanced Industry Science and Technology (AIST) has been gathering injury data from only medical institutions. By making use of information gained by AIST, the injury surveillance system customized for school was invented to help prevent accidents at school. The injury surveillance system collects data that can be used in the learning materials of the safety learning education program, which enables the adopted safety learning class to each school to be conducted. The safety learning class using the data of each school helps children recognize their own school’s problem and become familiar with the “injury” problem. It also enhances the motivation to work on safety activity. In fact, at Toshima Ward Fujimidai elementary school where safety learning program was practiced, the children’s willingness to learn the method to prevent injury increased from the average of 6.24 before the class to 7.56 afterwards (10 points scale evaluation: 1 for “No need” to 10 for “Willing to learn”) . Thus, its effect was evident. Another merit of introducing the surveillance is that it enables users to think of achievable solution while grasping the typical accident patterns or referring to the body map information. Refer to the next page “Safety Learning Education Program Based on Injury Data” for the detail of the safety learning education program. 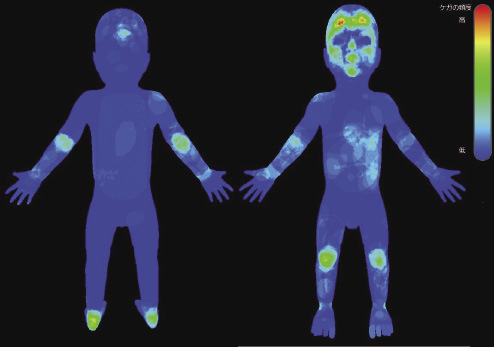 Colors show the frequency of the injury on the body map information. The blue part of the body means low frequency of injury, and yellow and red means middle and high, respectively. Looking at parts of the body injured by a “bicycle”, for instance, it shows high chances of heel, knee and forehead injury. On the other hand, looking at “door” injuries, injuries on fingertips on both hands or big toe are high. Inputting accident information from a school into the surveillance system can also create a body map that classifies gender, grade, place of the accident and type of injury. While showing children the map, you can consider how to prevent injury together. Comparison of the body map before and after the implementation of the measurement can be used for the effect evaluation of the method.